Winter is in full swing here in Michigan, USA. My regular runs vary from powdered snow, to sub-zero windchills, to slushy freezing rain. These runs require tights to keep my legs from getting far too cold. The problem for me is that typical tights are not wind proof, which requires wearing a pair of running shorts over the top of them. This can be uncomfortable due to the bunching around the groin. It can also get too warm, which leads to unwanted sweat, where you don't want unwanted sweat. The solution, which has for some reason alluded me, is to spend a bit of money on some quality windproof tights! Up until recently I didn't realize these even existed! These pants are windproof, water resistant, and breathable protection against the elements. With lightweight and high stretch panels built-in, you can be sure that not only does these tights breathe well and shed heat, but they enhance freedom of movement, especially compared to a pair of shorts over the top of normal tights. 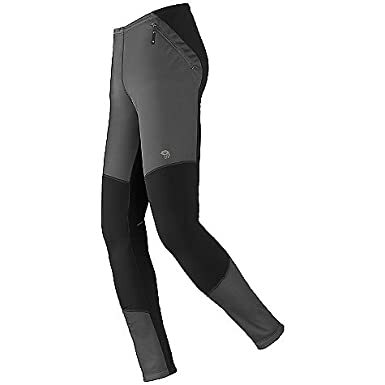 These types of tights aren't cheap, you're look at spending about $100; they are well built though and should last multiple years of daily winter use. Quality tights are a wise investment in winter running. What winter gear can you not live without?